Who knew that both genders actually needed their own cans? Apparently they do. 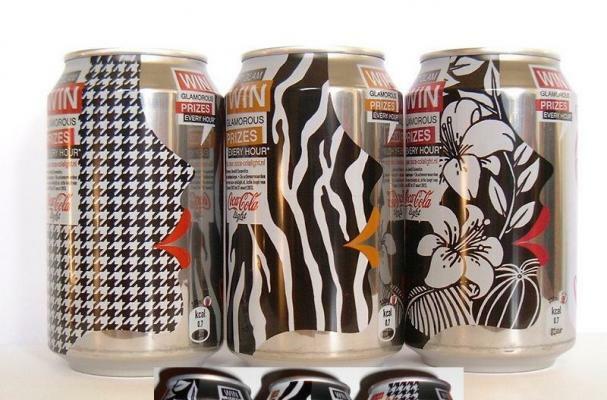 Diet Coke has launched a new ad campaign in Europe openly courting women. It started in the UK on Jan. 9 and will expand to seven more countries shortly. One of the key parts of the campaign is a new line of "glamorous" cans. Yeah, those ones above. They are "the hound's tooth, floral and zebra" prints, which allow ladies to redeem a voucher for discounts of shopping. Wow. Dr. Pepper drew criticism for its openly sexist campaign recently.